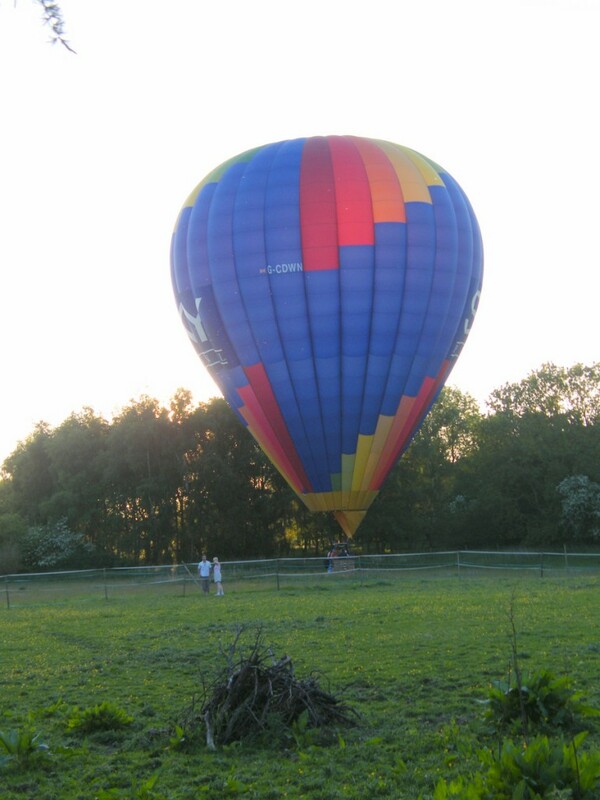 On 23 May 2010, a balloon landed in the paddock behind Helford House, Tyrells End. 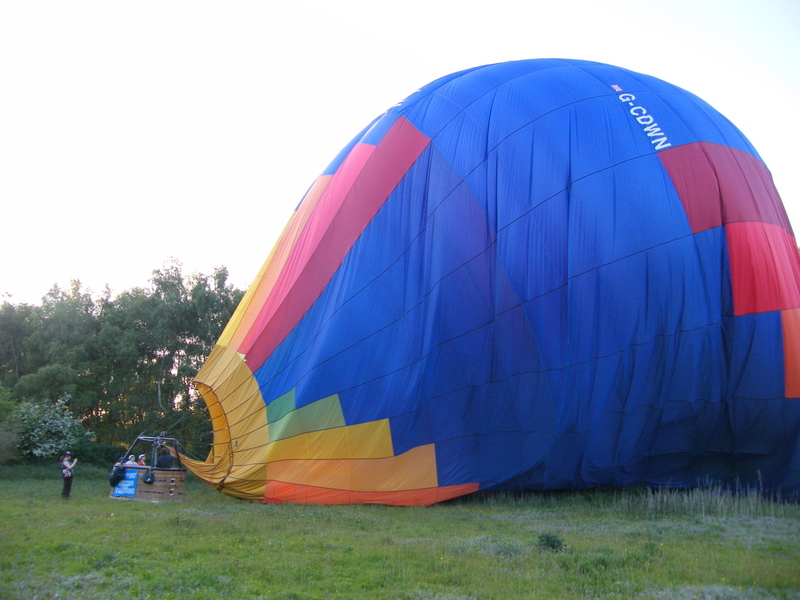 It was a very well-executed job, because the space was small and crowded, but the balloon fitted perfectly. 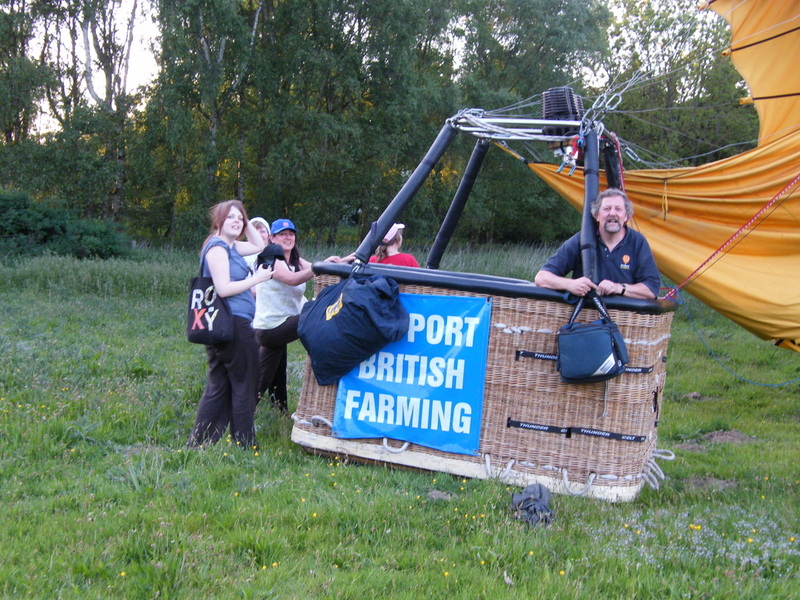 The pilot said that it was a struggle to find landing spaces locally, because there were crops in the arable fields, the pastures all had horses in them, and Woburn Abbey discourages landings in its park – quite apart from the risk of being eaten by lions. It was past 8pm in the evening, and the horse normally in this particular paddock had already gone in to the stable. 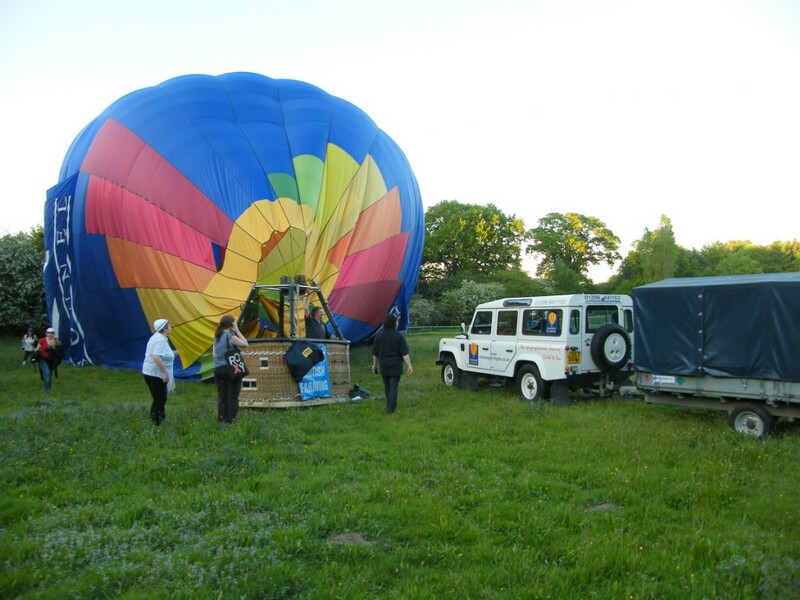 The balloon was on a pleasure flight from Great Brickhill, and they’d had a fine time in the clear weather. One passenger proposed to another during the flight, and was accepted, so all were in high spirits. The chase truck for the balloon arrived after a few minutes and packed it all away efficiently. 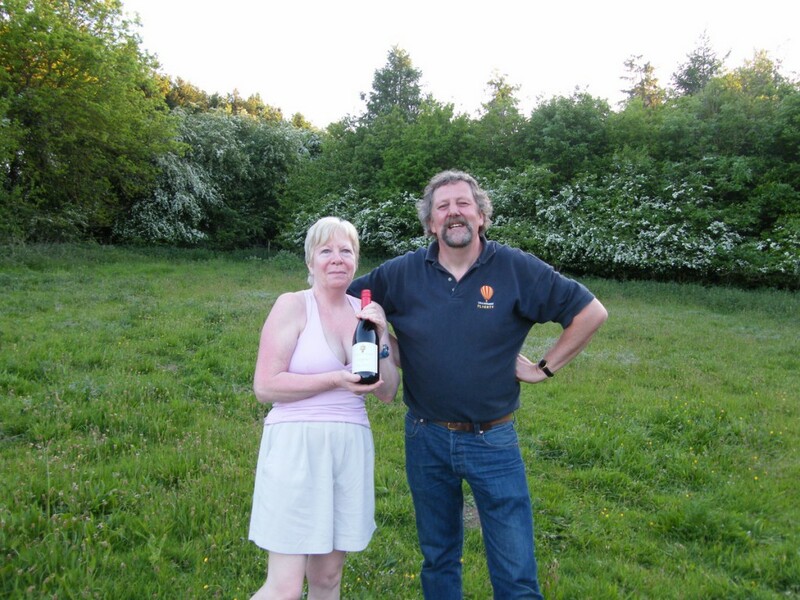 The pilot left a bottle of fine wine with Sheila Williams for her help in providing access. Here’s the event as it happened. These pictures are copyright Emrys Williams and shouldn’t be reproduced without permission, please. Click for much bigger pictures.